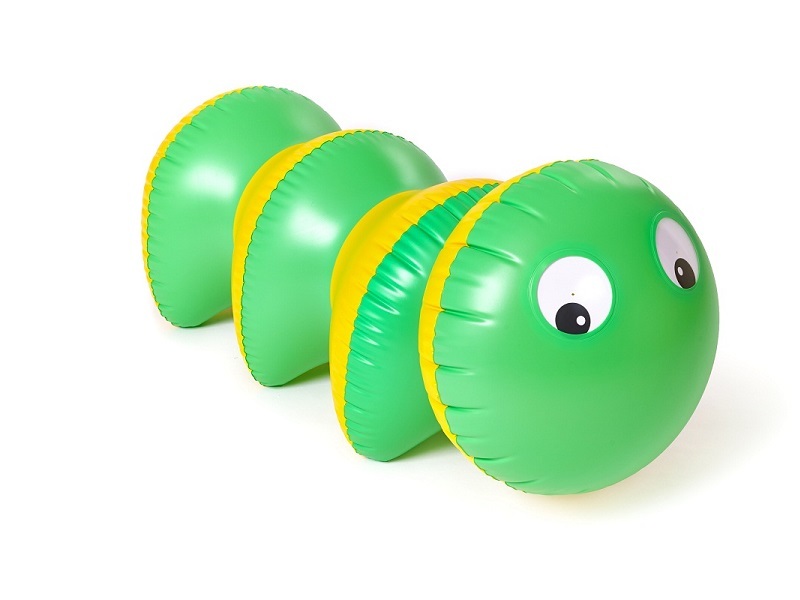 Original inflatable toys from the legendary designer Libuše Niklová were introduced in the seventies of the last century and their beauty of shape, colour, and functionality harmonise perfectly in them to date. 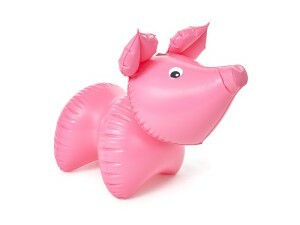 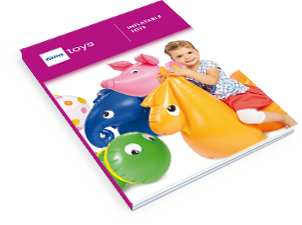 The most popular inflatable toys are – Elepfant, Buffalo, Giraffe, Caterpilar, Horse, and Piglet. 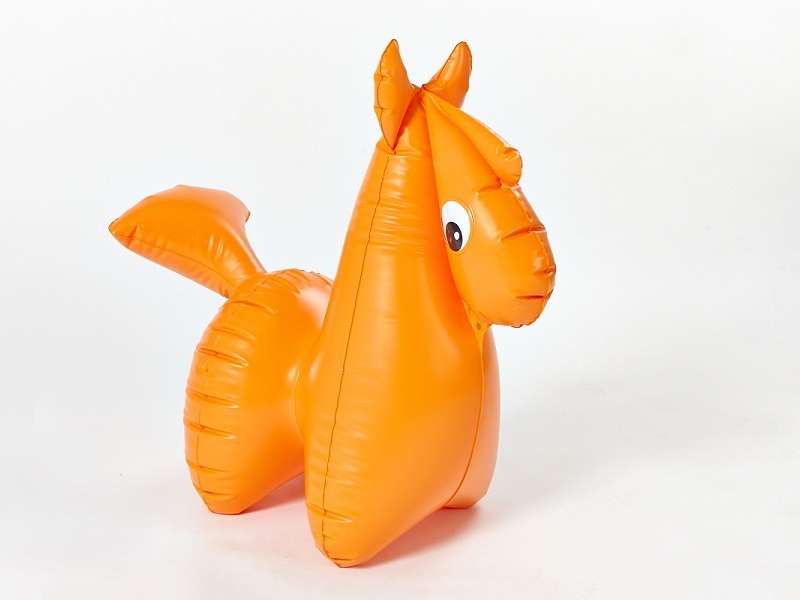 Animals are large but light, ideal for small children from 2 to 4 years of age (up to 20 kg). They might also serve as a seat and children may train their motor skills on them. 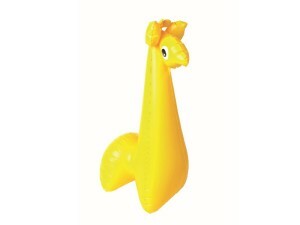 They attract by their expressive eyes and some of them also by sound, since they are equipped with a whistler. 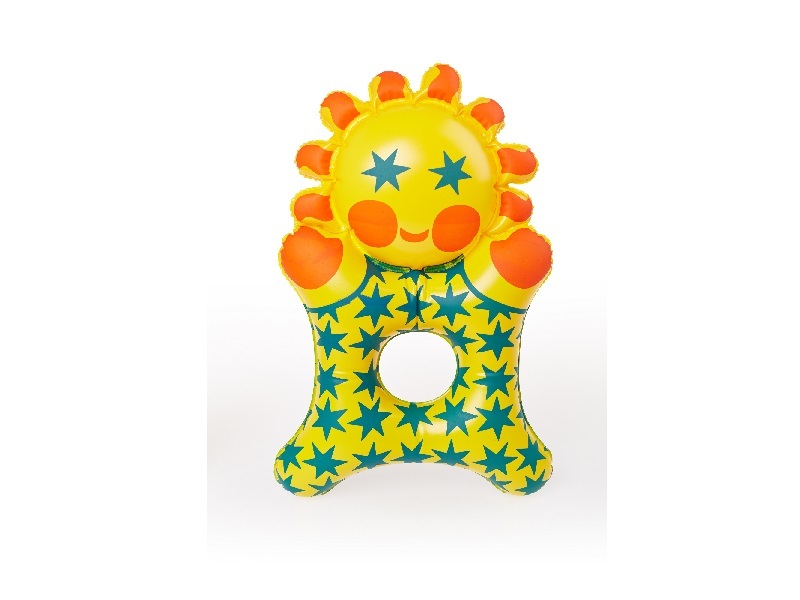 The retro edition includes also grasp toys – Kitty, Doggie, and Sun. 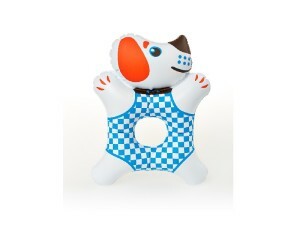 They are designed for toddlers and have a jingle inside. They are soft, washable, easy to grasp, and distinctive. 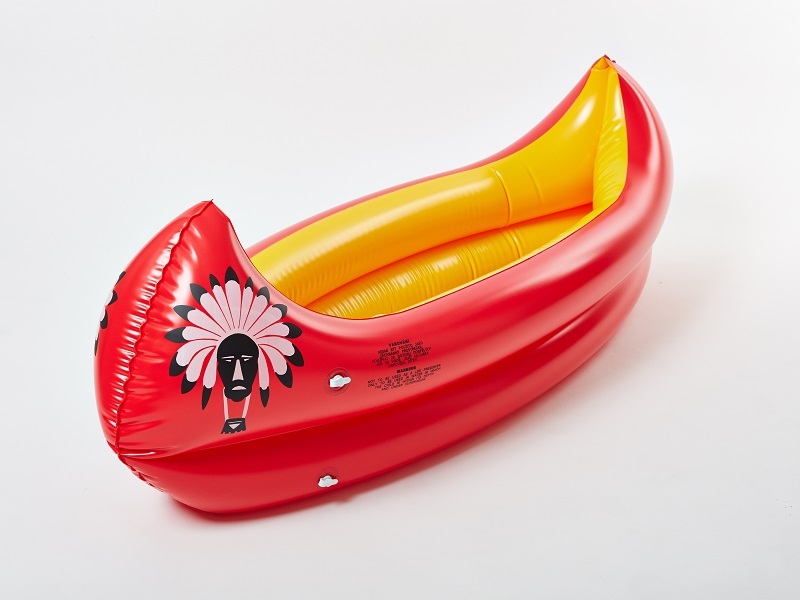 Also the popular water toys are now manufactured again – unforgettable Indian canoe and Arrow. 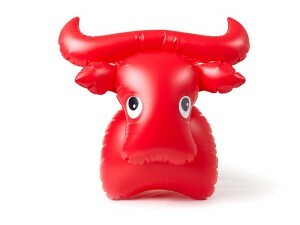 All these toys may be purchased in our e-shop www.efatra.com. 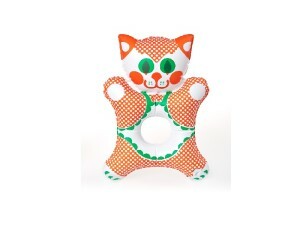 Do not overload the product! 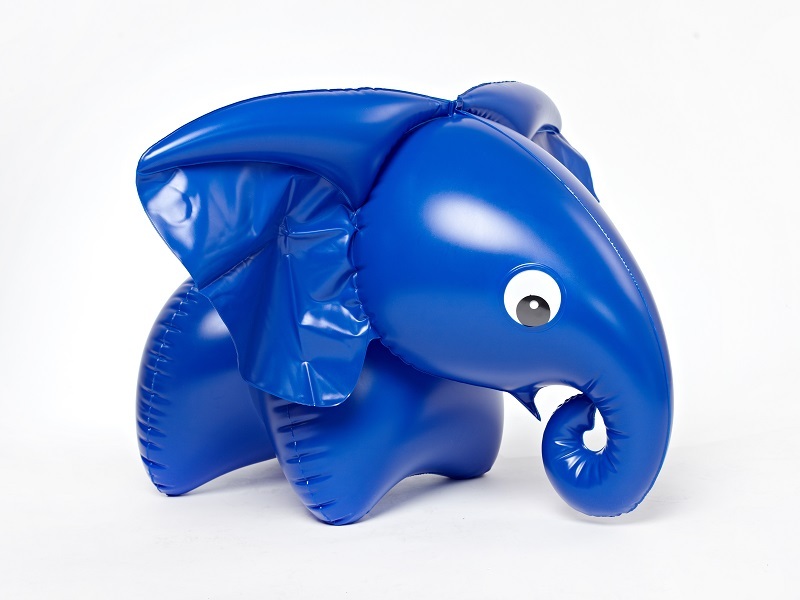 Maximum load for seating toys is 20 kg (not designed for jumping), and 30 kg for Indian canoe.